Donnell Coley| The Robesonian Purnell Swett sophomore Torrie Butler slides ahead of a throw at second during an earlier win over Seventy-First. 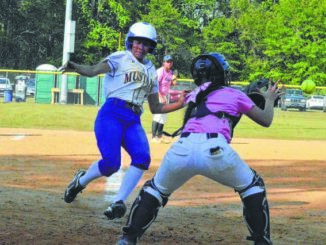 She is part of a mix of talent for the host Lady Rams who look to defend their Robeson County Slugfest title starting Saturday. RED SPRINGS — Coaches, players and representatives from the eight participating schools gathered inside the Red Springs Community Center on Tuesday to kick off the 10th annual Robeson County Slugfest. Ahead of Saturday’s first pitch, this rundown of each softball team will serve as a crash course for those who haven’t been able to see every group play this year. No. 7 Fairmont: The Lady Golden Tornadoes are one of the most inexperienced teams in the tournament from top to bottom with just one win this season. First-year coach Ryan Hunt is excited to enjoy the ride of his Slugfest alongside a group composed mostly of freshman and sophomores. Kaitlyn Hunt is the leader of the group from behind the plate and has the second-most hits on the team. The three-year starter acknowledges the difficult road ahead of them as the seventh seed, but expects to give her team a confidence boost in trying moments. One of the young Lady Tornadoes that hopes to produce is Santana Anderson who is the team’s leading hitter, boasting a .537 batting average. No. 1 Lumberton: Mackie Register comes into the tournament with a completely different outlook. He’s had one of the more successful programs and boasts a 2017 Slugfest title and a runner-up trophy last year. 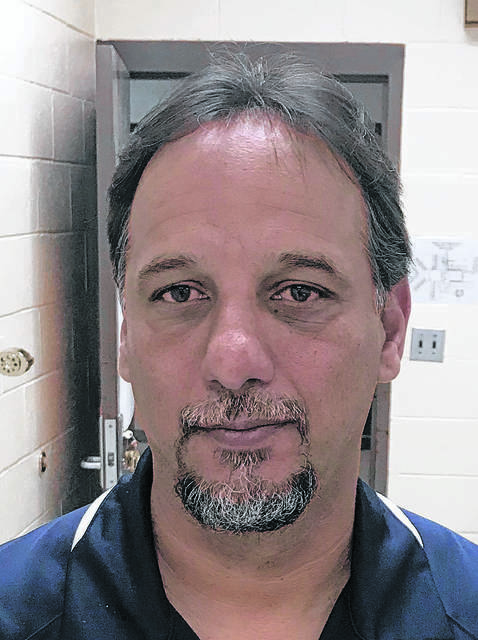 Register says he doesn’t want to look too far ahead, but acknowledged the challenges of a possible championship rematch with the defending champs and host, Purnell Swett, in the title game on Tuesday. “We see (Purnell) Swett a lot,” Register said about his team’s Sandhills Athletic Conference foil. “They beat us last year for the championship. They beat us at home for senior night. That’s a good healthy rival. Leading the way for the Lady Pirates are four-year starters Madison Canady and Morgan Britt. Canady is leading the conference in batting average (.531) and hits (26). Meanwhile, Britt is one of the most feared pitchers in the tournaments and ranks in the top tier of the league in ERA, wins, and hits allowed. She’s posted four no-hitters in this season alone. No. 3 Purnell Swett: The defending Slugfest champions and winners of two of the last three will play host for this year’s tournament. The Lady Rams enter as one of the hottest teams, riding six straight victories. Coach William Deese has one of the better records in the tournament and knows how important a good showing is. Deese’s group is powered by three seniors: JaiLeana Deese, Trinity Locklear and Katlyn Jones. Deese is one of the best two-way players in the conference and leads the team with a .512 batting average and 1.77 ERA. The upperclassmen have a bevy of talented freshman and sophomores that provide both defense and offense to make the Lady Rams one of the toughest outs in the tourney. No. 6 Red Springs: Robert Dove has the unfortunate task of trying to dethrone the hosts in the first round, using a four-win “rebuilding” unit. The Lady Red Devils have just three seniors on the roster, led by Jalexis Bratcher who handles most of the pitching duties. She, like Dove, acknowledged how challenging it is to have such a youthful group, but wants to see them get better with this experience. No. 5 St. Pauls: The Lady Bulldogs are in a similar situation as their fellow Three Rivers Conference rivals, coming into the tournament with just a handful of wins. Coach Phillip Tyler believes his team has been the victim of a tough league schedule and is excited for the opportunity to play non-conference opponent North Brunswick in the first round. No. 8 South Robeson: Donnie Carter is trudging through a trying season and it will get even harder when the group goes into their first-round matchup with No. 1 seed Lumberton down two starters. “Well, it’s Lumberton,” said Carter about the pairing. “They’ve got some very good talent on that team. The biggest thing we can try to do is execute in the (pitching) circle. Lady Mustangs are led by sisters KK and Mokoa Riveira who are two of the few returners with experience and lead on both sides of the plate. They will head into the tournament on a high note having beat St. Pauls on Tuesday. Hoke is a familiar SAC foe for both Lumberton and Purnell Swett and coach Heather Glass is glad to see a non-conference team in hopes of breaking recent misfortunes. 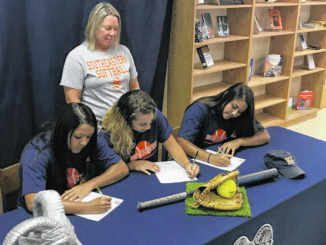 “We’re looking forward to playing the Slugfest and breaking out of some of these slumps and having a good time,” she said. 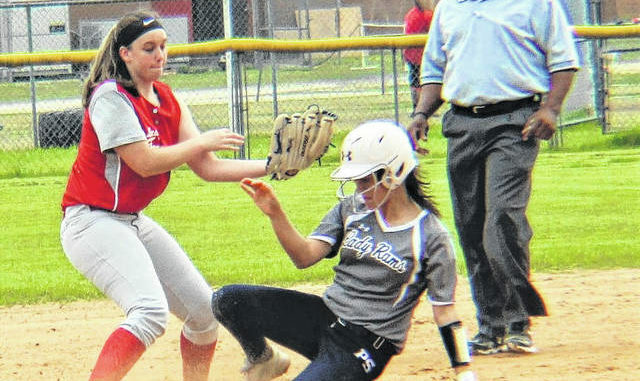 The Lady Bucks rely on talented youngsters, including freshman Nina Cummings who is the group’s leading hitter. Senior first baseman J’Maya Blue was on hand for Monday’s luncheon and said the group is struggling to hit the ball right now and wants to turn things around over the weekend. Meanwhile, North Brunswick makes the longest trek of all participating teams, traveling nearly two hours for the tourney. They have played up-and-down ball in the Mideastern Conference and look to rebound and make a run in the Slugfest. Jordyn Rascoe and Cameryn Lisi provided a formidable offensive tandem. Rascoe has a team-high .438 batting average, while Lisis leads the group with four homers and 20 RBIs. The action begins at 10 a.m. on Saturday, with North Brunswick taking on St. Pauls. 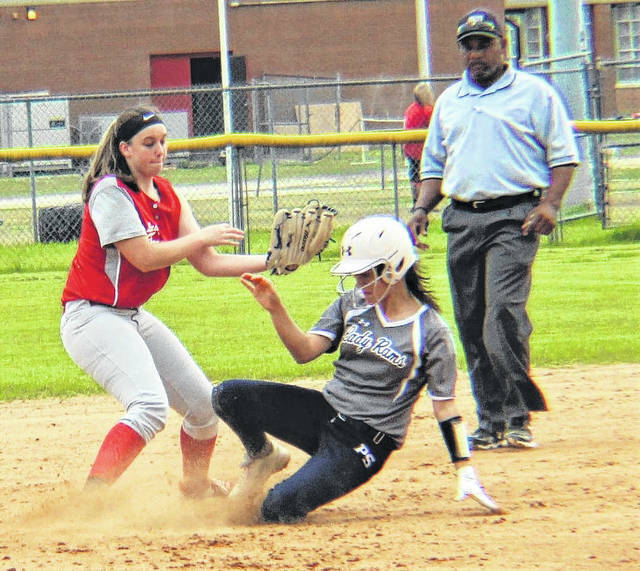 https://www.robesonian.com/wp-content/uploads/2019/04/web1_TorrieButler_71st.jpgDonnell Coley| The Robesonian Purnell Swett sophomore Torrie Butler slides ahead of a throw at second during an earlier win over Seventy-First. 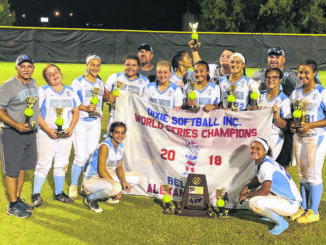 She is part of a mix of talent for the host Lady Rams who look to defend their Robeson County Slugfest title starting Saturday. Donnell Coley can be reached at 910-816-1989 or by email at [email protected] Follow him on Twitter: @Sportsinmyveins.